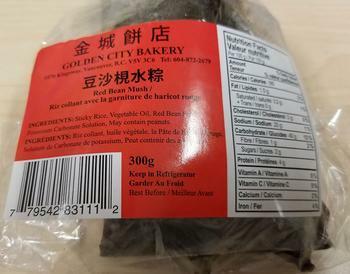 Golden City Bakery is recalling Golden City Bakery brand Red Bean Mush. The product contains wheat, an allergen not declared on the label. There has been one reported reaction associated with the consumption of this product. Customers who purchased the recalled product and have an allergy to wheat, or have celiac disease or other gluten-related disorders, should not consume it, but discard it or return it to the place of purchase. Consumers with questions may contact Golden City Bakery at (604) 872-2679.